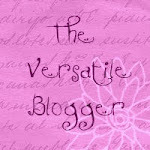 Curly Bird Express: Yummy Yarn Fun!!! I fooled around with some more spinning techniques this week, boy did I have fun blending my fibers and searching for pretty spin-able material to create my own art yarn. I made sure that anything I used would be water friendly because I intend to knit the yarn into a wearable garment. Pictured above are all the goodies I used to spin this sparkly hank of yarn, which include chiffon fabric strips and sparkly curling ribbon from Papyrus. I tested the curling ribbon for water fastness beforehand and was happy to find absolutely no water damage. It looked to be more of a plastic ribbon, but I wasn't 100% positive until I snipped off a hunk and gave it a hot soapy bath! Oh wow, do I love this technique, I know I will be spinning a lot of yarn in this style! Pictured below, still on the bobbin, is one dreamy, cloud covered yarn! This yarn uses mohair and angelina (sparkle fiber) to create a lofty, soft yarn that looks like it could easily float away! I didn't have 100% mohair fiber, mine was a 50/50 blend of mohair and soft colored, sky blue merino. It worked beautifully, as you can tell, I am in love with this technique!!! I'll be doing lots more, I already have lots of color combinations flitting through my brain. I'm heading into my next spinning adventure, I have nearly all the components in place. 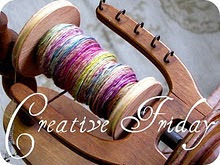 As you know, I love spinning to begin with, and now, creating these fun art yarns, is really, really enjoyable. If I could keep my peepers open, I'd be spinning around the clock! Have a great, creative week! Blessings Friends! You have gone completly MAD.